Located just South of Interstate 101, Audi of North Scottsdale has been serving its loyal customer base for over 17 years. The dealership sits on a Penske Automotive Group (PAG) owned campus, well known as the destination for luxury conscious automotive consumers in the North Scottsdale, AZ community. With growing customer demands, the PAG set out to build a new Audi Facility that would nearly double their output ability and also be the crown jewel of their luxury car campus in North Scottsdale. Western Region Account Manager Eddie Sanchez of i.M. Branded, worked closely with the PAG team to deliver a furniture and graphics package that fit many of the unique designs required by the Advanced Showroom Concept (ASC). When entering the facility, the customer is greeted with a vast open showroom with Jet aged modernistic architectural elements. Wide glass windows, a second story balcony overlooking a vast showroom creates a comfortable atmosphere for customers to shop or relax while they are being serviced. Blending a unique modern look custom-built (ASC) furniture is designed to support operations throughout the dealership. 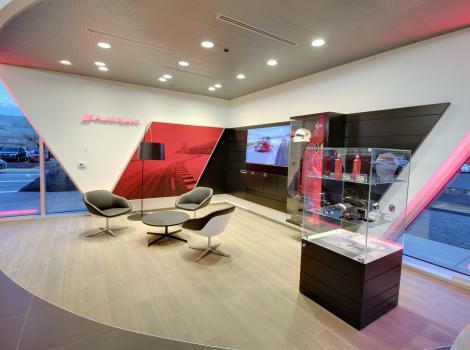 From consultation counters and modern sales workstations to lounge seating and boutique point-of-sale elements, the ASC program was also designed to immerse Audi consumers in a brand experience like no other. “I am very proud of our accomplishments in North Scottsdale, AZ”, said Jim Whitehead Founder and CEO at i.M. Branded. “Dealerships have unique needs and we are often called upon to ensure the program guidelines and facility requirements translate to the best experience for the consumer. 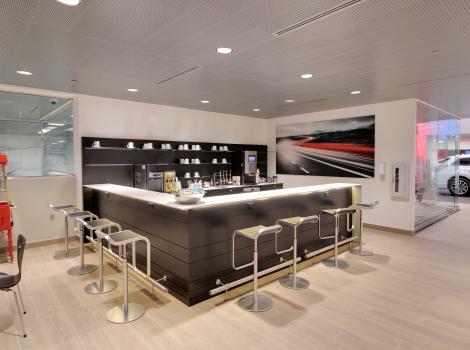 Providing solutions in these scenarios is what we do best.” Audi of North Scottsdale is outfitted with a custom-built café area offering guests an area to plug in a laptop enjoy a cup of coffee. i.M. 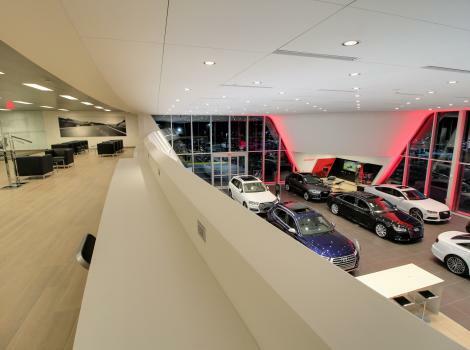 Branded worked with Audi and the dealership to create a finished product to enhance the retail consumer experience and satisfy program and dealership personnel. With more than 20 years in business, i.M. Branded specializes in helping automotive dealerships maximize the impression of their facilities on their clients. State of the art technology, refined installation processes and direct relationships with the world’s top automotive manufacturers give i.M. Branded the ability to provide OEM approved graphic and millwork solutions to thousands of dealerships across the country. 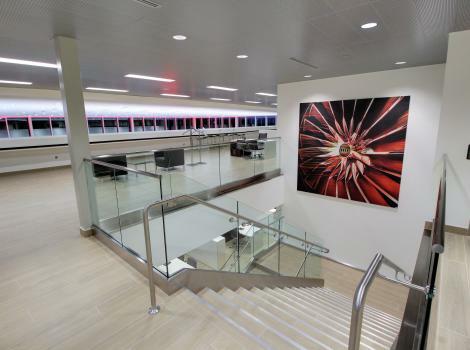 Unmatched attention to detail, and a company culture built on minimizing disruption during installation, make i.M. Branded the industry leader and quite simply, best in class.